Ponce NE, Sanmarco LM, Eberhardt N, García MC, Rivarola HW, Cano RC, Aoki MP. CD73 inhibition shifts cardiac macrophage polarization toward a microbicidal phenotype and ameliorates the outcome of experimental Chagas cardiomyopathy. 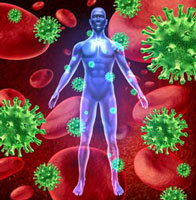 The Journal of Immunology. 2016 Aug 1;197(3):814-23. Sanmarco LM, Visconti LM, Eberhardt N, Ramello MC, Ponce NE, Spitale NB, Vozza ML, Bernardi GA, Gea S, Minguez AR, Aoki MP. il-6 improves the nitric Oxide-induced cytotoxic cD8+ T cell Dysfunction in human chagas Disease. Frontiers in immunology. 2016;7.